I’m sure everyone wants to have as happy a life as possible, but what makes us happy? What things make us happy and how do we bring those things into our lives? 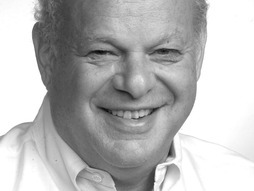 In this very interesting TED talk Martin Seligman discuses pleasure, flow and meaning and the causes and effects of each. So get a cup of tea or coffee, click “play”, and invest 24 minutes of your time in learning how to make yourself happier. I can relate to that. After retiring from a meaningful occupation it's been hard to replace that source of fulfiment with things from the pleasant or good categories. Just bought the book on kindle. Sun's shining on my outdoor reading area. Life's good. I have always enjoyed Seligman's work. Another good source on the topic is Tal Ben-Shahar. His book "Happier" is an interesting and enjoyable read.